Tom Hall’s physique, usually listed as 6-feet and 150 pounds but occasionally lighter, earned him the enduring nickname “The Blade.” Teammate Ted Uhlaender once quipped, “He wouldn’t sink two inches if he walked on quicksand.”1 But Hall was also an excellent pitcher for several years, rocketing through the minor leagues to become one of the game’s most dependable relief pitchers. His peak was brief, due to injuries, but not before he helped four teams to the postseason. Thomas Edward Hall was born in Thomasville, North Carolina, on November 23, 1947. When he was 4 years old his family moved to Riverside, California, a place he still called home over 60 years later. Hall took to baseball at a young age, playing Little League through Connie Mack League for several years. He was usually a first baseman, being tall, skinny, and left-handed. His coach noticed that every ball he threw to another base tailed at the end, requiring his teammates to lunge for his throws. Inspired, the man decided to try young Hall at pitcher, where his tailing fastball would not be a handicap. By the time he reached Ramona High School he had become an all-conference pitching star. “I really liked to play football,” Hall remembered, “but I was just a little too thin.”2 Bobby Bonds played baseball at rival Riverside Poly High School at the same time, and he and Hall remained close friends for the rest of Bonds’ life. After high school Hall attended Riverside Community College, earning team MVP honors in 1966. His skinny frame likely kept him from getting drafted out of high school the previous year. “When I first saw him,” recalled Twins executive Clark Griffith (son of team president Calvin), “he was 5-10 and weighed about 130 pounds. But he could throw! He struck out everyone.” When Calvin went to see him he was “warned not to make any evaluation until after I had seen him throw.”3 Hall was drafted by the Minnesota Twins in the third round of the January 1966 amateur draft, and signed with scout Jesse Flores in late spring. In April Hall joined Charlotte (NC) of the Double-A Southern League and continued his great pitching, going 6-3 with a 1.36 ERA. Of his 10 starts, 7 were complete games and three were shutouts. On June 9 he was brought up by the Twins, who were temporarily short of pitchers. His first stint with the Twins lasted just one appearance—two shutout innings against the Senators—before he was sent down to Triple-A Denver. With the Bears Hall was 4-1 with a 2.81 ERA in six starts, enough to get him back to Minnesota in early August. This time he stuck around a while. Hall’s first start, in New York’s Yankee Stadium on August 9, was inauspicious. He faced six batters and retired none of them, departing down 3-1. “I remember I was very nervous,” Hall recalled. “I couldn’t throw a strike if I had to lay it on the table.”6 The Twins rallied to win the game, and Hall started and beat Washington four days later. For the major-league season he pitched in eight games and 29⅔ innings, finishing 2-1 with a 2.43 ERA. Not a bad beginning for the 20-year-old lefty. Hall reported to (the Twins’ camp in 1969 to play for their rookie manager Billy Martin, who had managed him in Denver the previous year. Hall was in the starting rotation to start the year, and hurled a two-hit shutout in his second start, on April 18. Martin used him both as both a starter (18 games) and reliever (13), and Hall ended up 8-7 with a 3.33 ERA in 140⅔ innings. He pitched to two batters (retiring both) in the Orioles’ three-game sweep of the Twins in the playoffs. The next year new Twins manager Bill Rigney also used Hall in a variety of roles, and he pitched outstanding baseball—11-6 with a 2.55 ERA in 155⅓ innings. In September he started seven times and put up a 5-0 record with a 1.84 ERA, and nearly copped the league ERA title. Hall was 6⅔ innings short of qualifying, while Oakland’s Diego Segui won the crown with a 2.56 ERA in exactly 162 innings. “I’m a little more relaxed this season because I have some experience,” he related. “And I am keeping the ball low; in 1969, I was high.”7 Hall also logged 184 strikeouts, an astonishing 10.7 strikeouts per nine innings, far higher than Cleveland’s Sam McDowell’s league-leading total (among qualifiers) of just under 9.0. “Maybe it’s because he’s so skinny,” said Rigney. “He stands out there and batters figure he can’t blister it. Then, when they find out he can, it’s too late.”8 He started Game Two of the ALCS against the powerful Orioles, but allowed four runs in 3⅓ innings as the Orioles won easily. Hall came back with two shutout innings the next day, but Baltimore completed another sweep. Early in his career Hall spent at least two weeks every summer with the Marine Reserve, along with occasional weekend duty. This was not uncommon during the Vietnam era, and placed an added burden on managers trying to establish regular roles for the team. Hall was available enough in 1971 to log 129⅔ innings, though he was a bit less effective (4-7, 3.33). The Twins fell out of contention, and after the season decided that they needed to acquire a true relief ace. As a result, they dealt Hall on December 3 to the Cincinnati Reds for relief pitcher Wayne Granger. The Reds had a strong and deep bullpen, but thought they needed a left-hander. In the 1972 postseason Hall pitched six times, totaling 15⅔ innings, allowing just one run (0.57 ERA). He won Game Two of the NLCS, entering against Pittsburgh with two in the fifth inning, striking out Willie Stargell with two Pirates on base and finishing the game, allowing just two hits and a run. “Hall has as much savvy as any pitcher on our staff,” said Bench after Hall’s victory. “He didn’t pitch a masterful game, but he made the right pitches in the right spot.”11 In four World Series game appearances versus Oakland, Hall allowed zero runs in 8⅓ innings. Still just 25 years old, in 1973 Hall was used in a similar role, starting seven games and working as a multiple-inning reliever, and he finished 8-5 with eight saves and a 3.47 ERA in 103⅔ innings. Hall had a rough time during the five-game NLCS loss to the Mets. He appeared in three games for ⅔ of an inning giving up three hits, three walks, and four earned runs to post a horrendous 54.00 ERA. In 1974 he pitched a career-low 64 innings, and his ERA rose again to 4.08 to go along with his 3-1 record. On May 3, when his ERA stood at 1.00, Hall cut the middle finger of his pitching hand on a tile soap dish in the shower at Pittsburgh’s Three Rivers Stadium. He was disabled for two weeks and the injury hampered him for longer. A couple of years later he filed a lawsuit against Three Rivers Stadium and the Pirates for the incident, which caused a loss of blood and emotional trauma.12 It is not clear how this lawsuit was resolved, but Hall never pitched as well as he had in the year prior to the mishap. 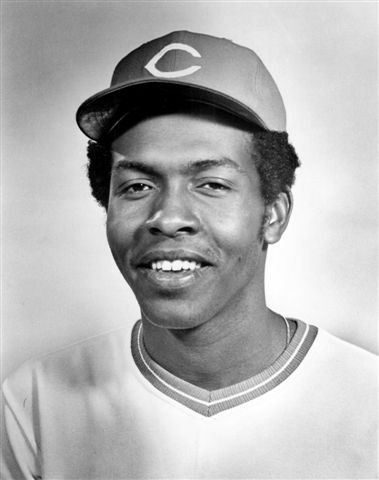 After two brief appearances in 1975, on April 15 the Reds traded the 27-year-old Hall to the New York Mets for fellow lefty hurler Mac Scarce. The move was mostly about the Reds’ abundance of relievers, as Scarce went to the minors and never appeared in a game with Cincinnati. The Mets needed pitchers. “I think it’s a steal for us,” said new teammate Tom Seaver. “Hall’s got a great arm, and he’s not that old.”13 Hall pitched in 34 games for New York, including four starts, and managed a 4-3 record despite an elevated 4.75 ERA, part of a trend that saw his ERA more than double in three years. After pitching five games and with a 1-1 record for the Mets early in 1976 Hall was traded on May 7 to the Kansas City Royals, where he finished an undistinguished season (1-1, 4.45) for the AL West division-winning club. In the ALCS versus the New York Yankees, Hall pitched to two batters during the pivotal sixth inning of Game Three, getting Chris Chambliss to ground into a force play, then allowing a run-scoring single to Graig Nettles. For his postseason career Hall pitched 22⅔ innings in 13 games, finishing 1-1 with a 3.57 ERA. Hall next began work with Rohr Aerospace for three years before being laid off in 1981. He then hooked on with the United States Post Office, where he was a mail carrier for 21 years. In November 2002, the 55-year-old Hall retired from working life. Hall married the former Grace Jean Mitchell in October 1969, and the couple raised two children: Kristi and Thomas. As of 2012 Hall still lived in Riverside, California, not far from where he grew up and learned to love the game. The Riverside Sports Hall of Fame, which inducted him in 2005, says on its website that Tom enjoys fishing, bowling with his son, and taking trips with his wife to Morro Bay. An excellent pitcher for several years, Hall remained rooted to his hometown and the family and life he created there. This biography is included in the book "The Great Eight: The 1975 Cincinnati Reds" (University of Nebraska Press, 2014), edited by Mark Armour. For more information, or to purchase the book from University of Nebraska Press, click here. 1 Earl Lawson, “Reds Forecast 150 Runs for Galloping Morgan,” The Sporting News, July 1, 1972, 5. 2 Tom Hall, interview with twinstrivia.com, August 2009. 3 Bob Fowler, “Twins Shave Enemy Bats With Razor-Sharp Blade,” The Sporting News, June 20, 1970. 4 Tom Hall, interview with twinstrivia.com, August 2009. 5 Mel Derrick, “Hall Puts Hitters on a Skimpy Diet,” The Sporting News, June 15, 1968, 35. 6 Tom Hall, interview with twinstrivia.com, August 2009. 9 Ed Rumill, “Hall’s Elastic Arm Puts the Snap in Reds,” Baseball Digest, December 1972, 48. 10 “Tom Hall Key Factor in Reds’ Flag Drive,” Utica Press, June 23, 1972. 11 Charley Feeney, “Pirates and Reds Engage In Swap of Opportunities,” The Sporting News, October 21, 1972, 21. 12 Unattributed clipping in Hall’s clippings file at the Baseball Hall of Fame library, dated May 4, 1974; “Reds Ex-Pitcher Sues Stadium Over Injury,” Pittsburgh Post-Gazette, September 16, 1976. 13 Steve Cady, “Mets Get Lift From New Hurler,” New York Times, April 17, 1975. 14 Tom Hall, interview with twinstrivia.com, August 2009.